The official Alien covenant plot synopsis only mentioned David 8 as the sole inhabitant of the engineer homeworld.Could it mean that the engineer race is extinct and that the last Engineer from Prometheus was infact the last engineer in the universe? In my opinion,the Engineer race isn't extinct,but rather endangered. Kinda like in zombie/apocalypse movies where majority of the human population is dead/infected there are groups of survivors all over the world struggling to survive. 49 Responses to Are Engineers extinct? "There was always this discussion: Is Alien, the character, the beast, played out or not? We’ll have them all: egg, face-hugger, chest-burster, then the big boy. I think maybe we can go another round or two." So, you'll get what you're looking for, and most likely the Deacon as well. But to keep the Engineers out entirely wouldn't make sense to me. Maybe there will simply be a quick flashback or hologram, but they should still be in the movie in some capacity to help tie in to 'Prometheus'. On to the topic that Dark Nebula brought up... I like the endangered aspect. I don't think they are extinct yet. At least, I hope not. 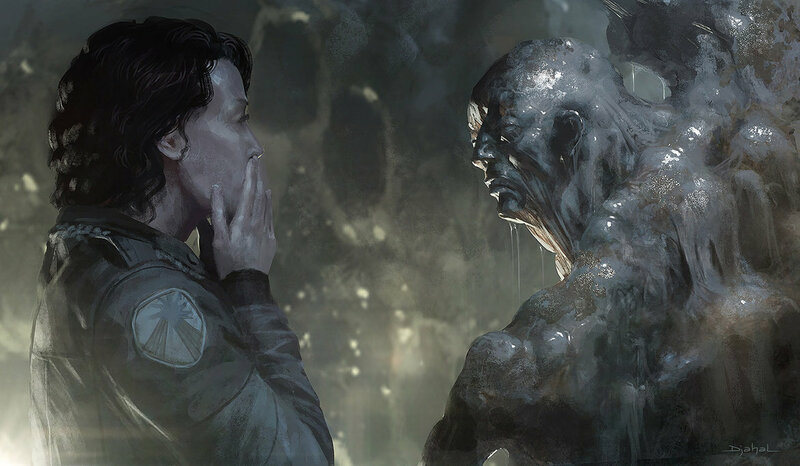 And it may even be cool if somehow an Engineer makes their way into Blomkamp's 'Alien 5'. In explaining the MORB, it's creation, biology and purpose the Engineers would need to be included in some capacity. Whether that is via flashbacks, hologram, whatever. Those set pics definitely included dead Engineers on the steps and foreground. So that will be explained, whether the aftermath of an event a long time ago, the result of David's meddling, or something completely different. Ah, I see. I meant to say that the engineer shouldn't play to prominent a role like you said, a flashback would suffice for continuity. 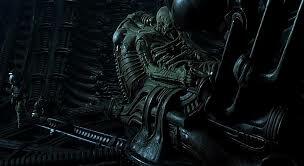 An engineer in Alien 5 would be interesting, I'd like to see how Hicks and Ripley react to it! 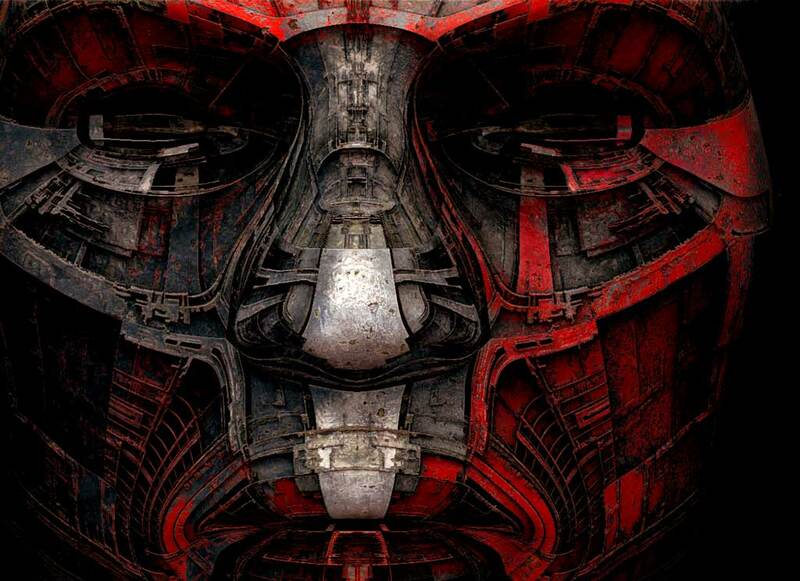 On another note, has anyone thought this concept art bears a bit of resemblance to an engineer type creature? The Engineers were the most interesting thing about Prometheus in my opinion! I love the expanded mythology. They definitely need to be explored more in the coming sequels. They clearly have some sort of sacrificial rituals that could use some elaboration and Ridley has said that they are violent fu#kers, so should be fascinating to see them show up again. That being said, I also think that they shouldn't be over exposed either. Leaving some odd mystery surrounding them is also important, I think. I'm with Membrane on this one, I'm all for seeing more Engineers and their technology in Alien: Covenant! To be honest, I'm more interested in the Engineer back story and learning how their creations came to be, as well as why they created them in the first place. The Alien angle of this new series should be subtle and not the primary focus. It was the primary focus of Alien - Alien: Resurrection and frankly I think they've milked that cow dry. 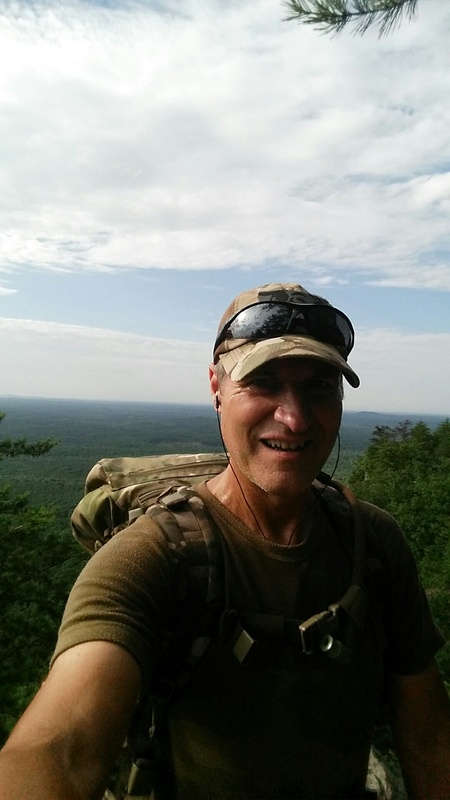 "In my opinion,the Engineer race isn't extinct,but rather endangered." Maybe this is something that they can develop? If the Engineers are being endangered then they want to expand their specie but if you try to play with nature you get burned. Perhaps the whole movie shouldn't be about this but maybe a part of it could be? Hopefully when they are done with explaining the Xeno and the Engineers some mystery will still remain about them (both) I hope. So no, I don't think we're done with the Space Jockey's history. I assume Shaw and David didn't find any Engineers when they tried another Juggernaut?! Maybe they flew the Juggernaut with a Engineers in suspension? Shaw and Holloway had hoped to find these beings who created us... but there was nothing but Dead Engineers.... it was not till latter in the Movie after Shaws C-Section that she found out they (Engineers) are not all dead. And so the Covenant Synopsis should be taken from the point of view of the Crew.... this does not mean that latter on... Shaw appears and has been kept some place away from them. But i will agree that i think Engineers are all put extinct as far as locally in the Galaxy and Potentially on Paradise..... and also maybe there were a few left when David arrived? There has to be someway to explain why they never came back and yes EXTINCTION would do the Job.. But we have to remember... Alien was not about Ripley, or the Company not totally... without the Xenomorph Egg Cargo we would have had no movie. I hope they dont go the route of the Jockey being David, or his Doppelganger or Shaw or any other Human. (does that imply LV-223 and Deacon = Alien?) And going off to see the Engineers Homeworld is something new? Now we are off to connect to Alien more with Alien Covenant.. He deleted the Elders Scene for this purpose, perhaps? To re-design Elders... or to remove the connection that Engineers can get old and frail? But David would be bringing Hell with him (Cargo) and what happens if that Cargo infects.. God? or Machine? And so yes... there was the idea that when Shaw and David arrive they would indeed find some remnants of Engineers Society or beings related to them in some way. Alien Covenant is set 10 years after Prometheus.. do we assume David only just arrives at Paradise just prior to the Covenant? surely it does not take the Juggernaught that long.. and surely no way a Human ship could pursue it? So we have to wander what David has been up... since he and Shaw found another Engineer Ship.. to when the Covenant Crew Arrive to find him (David 8) all alone on Paradise. There is that scene of disaster that does seem to show maybe Engineers, or some related beings... or ancestral link between them and us. As in by the time the Covenant sets down... maybe... or so we could be lead down that path.... we have 2-3 more movies to tie into Alien... i think thats a lot of movie to cover Xeno Origins... and not explore the Space Jockey/Engineers. I think we will see Flash Back Scenes... for sure.. but will we see Hologram Scenes.. or even a Alive Engineer in the next movie? or movies after.. as far as one or a few being ALIVE post year 2094? After the Death of the LV-223 Engineer and Birth of Shaws Deacon Child..? 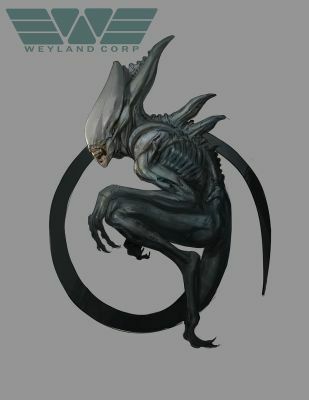 so its how much has Alien Covenant Changed.. compared to the ideas Ridley and Fox had as far as whats next for the Engineers, David, Shaw the Xeno Origin and connections.... Post Summer 2015 when the Concept and Draft had started to change... (John Logan and Alien Covenant). I'd like to see the elders being the top dog, overlords (hate using the word God) ... and the engineers the slaves (experiment fodder) .. Didn't see any Engineers from Alien to Aliens, to Alien 3 and Alien R could be because they didn't think a prequel would be made ... or they didn't know how to write it in? I personally believe that engineers at be the creation of the space jockey. The space jockey may just be the higher being , and engineers the creation in their own image. I would really like to learn more about the Engineers myself. I would like to see possibly some pre~quils about the origins of them as well. Kinda be like an Ancient Aliens type of thing docu~drama type of thing but like a movie. Yes they should be dust in the wind save for an unlucky few, they serve something but that should be buried not to be seen, hinted and heard in hushed tones. Would like to avoid exposing "the big bad" too much that is what made Alien so good and it was the mistake that Sleepy Hollow made in season2. Also, consider the time-spans of the various civilizations involved here. Is the time-line set in stone? Do we really know when the Engineers first emerged as a civilization? Could they have been long gone by the time we were a space-faring species? Look at the ancient civilizations on earth. Look at how we have evolved over time. We started out as biology experiments, and then traveled through space, searching for our origins. It's only natural to assume our "creators" were not static, but evolved as well. Even if that meant their demise. What seems to have out-lasted them is their "black goo". So in a way, is that immortality, as your DNA is re-combined with other material? So the "engineers" live on, through us, and other species. Even if their original life forms are long gone. Well there was a war between factions a Rebellion and it would be likely the Engineers and Hierarchy could have suffered a lot due to the wars they had. But while having no Engineers left, as a way to explain why we never see them in the Alien Franchise or they never came back to visit us again in the context of the franchise... could work.. I think they aimed to explore these Engineers and not to kill them off... so there could be a other reason. The source mentioned that Shaw had Questions and one of those was why was we forsaken and abandoned, prior to Prometheus Shaw would have wandered why they never came back... did they turn there back on us for something we had done? Or did they leave us to be but left clues for when we was ready? So now she still wanted to know why we was abandoned and why they wanted to destroy us and why bother create us in the first place... we must have been important to them, then surely what did we do wrong. The source said she gets her answers well some, but they are far from what she would have wanted and in reality we was not special at all. Which could imply that a COVENANT is involved in some way to the old Plot, in context to maybe we we have not seen any Engineers etc after the failed plan of our destruction. I think the source is hinting that the old drafts could linked to a Covenant but now seems maybe the new movie is running with these theme. 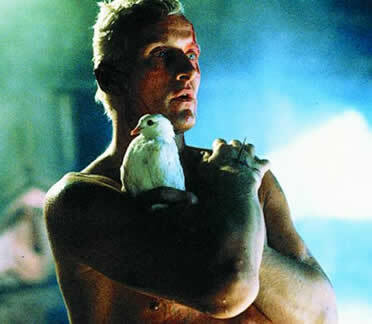 maybe on multiple levels just as the Prometheus name did in that movie. The Ark of the Covenant was a place where Gods Commandments and Rules where kept, it was part of Gods Covenant with his Chosen Tribes of Isreal on their journey from Slavery to Freedom back to their Promised Land to obey and follow the rules of God. The Ark has Two Cherub Angels depicted on them... these could be a sign of them Guarding the Covenant with God, The Ark or the Chosen People. Cherubs in context to the Bible, Protect Paradise, the Garden of Eden and are at the side of Gods Throne. A Covenant is a agreement, and usually to re-frame from a action.. and in Biblical context there have been a number of Covenants.. He saved Noah so that Mankind can start a fresh so that Noah can pass on Gods Will, and God Flooded the Earth but after doing so he made a Covenant with Noah that he would never ever use a FLOOD on Mankind again. Gods other Covenant was with Mosses he helped mosses to escape from slavery by the Pharaoh of Egypts Rule..... God provided Mosses the means to set free Gods chosen people..
Then as part of this deal, he had promised them they would get the chosen land back and also God set down the 10 Commandments that if the chosen follow to the letter they would be looked after by God. Maybe the Engineers or Hierarchy had chosen to Forsake Mankind, to leave us to destroy ourselves and they made a Covenant to never use the Evil Biology again that caused destruction to the Engineers. This is one way a Covenant could come into play? Sry for necro but an interesting topic. I dont think the species themself is completly extinct (they are a space faring species) but their civilisation/culture is heavly damaged since their homeplanet is destroyed. What is left are maybe dozens of smaller outpost on moons/planets, which dont play a role anymore (on the grander galactic point of view like in the old ancient times) since the ressources and logistics are literally zero at this point. Maybe hundreds left, with luck thousands. If that few cant reproduce then they are ultimately doomed. The remaining Engineers will probably strugle to survive and try to recover from this disaster, if even possible. That would be an extreme long process anyways and explain why we hear nothing about them in the movies, except their remainings(dead bodies, old derelicts/ruins). If we take a look at one of the leaked set pictures we can see a really tall engineer subduing a creature under his armpit among other engineers or humans. That is if we consider the flashback pompeii style scene to be that of humans being turned into ash. If those are not humans but engineers then, it seems there will be two types of Engineers since the one in that scene seems to be about 4 feet taller than the rest in that scene. Interesting one . . . if SJ and engineers are different then you'd think given their intergalactic abilities and seeding desire that there should be many still around. But perhaps not close too Earth?! If they are one and the same the above still applies but it makes me think any 'civil' war may have been quite catastrophic for the species given the nature of the weapon being used . . . In short, I think some remain but we may never get to 'meet' them as it were. I think that scence you mentioned is that leaked set photo showing dozens of burnt Engineer bodies near an ancient structure. Indeed. They mastered space travel so it's unlikely that they are completly/absolutly gone. The question is: How big of a role the planet Paradise is. If it's really their homeworld than it would have a massive impact in their presence near earth(relative position in the Galaxy) and the whole remaining galaxy. If it's just a bigger (but older) outpost then for sure they are still plenty in numbers but have given up on their plans for this part of the galaxy. Are there different types of them? Elders, warriors or are the Engineers themself a creation of a greater lifeform. One is for sure. The species that sacrificed themself at the intro scene in Prometheus is the same kind the Human crew woke up from the cyro sleep. They have almost not changed over the millions of years physicalwise (have they changed at all? not sure). Same pale skin, dark eyes, demigod like body/strength. @Gralen - I think the intention from Prom was to suggest the SJ and engineers are one and the same. However, there are obvious scale issues and the ships are different in shape. Some on here have speculated the derelict may have withered and decayed due to it being part bio which explains for the growth and differences. Could be! I'd be happy to waive that though tbh, but they could go a route of SJ being the Elder or 'creator' of the engineers. I'm a bit torn on this issue and there aren't enough real clues or evidence to make a clear guess. I'm also with Chris and others above - my main focus and interest form here on in is the engineers and how and why the SJ /derelict and its cargo came to be. The ALIEN comes along as a link in the chain, a part of the narrative as it were, rather than the focus. Prometheus has opened a lot of doors . . . The Engineers are most definitely not extinct. What David killed in Alien Covenant may not be Engineers at all, but one of their creations. There also exists the possibility that this city was an outpost for rebel Engineers with limited access to technology. This might be the Last Engineer's "Paradise." I think there was the idea to show us more about these Engineers, but going this route does open up a few holes as far as the Alien Franchise and why we dont have Engineers mentioned or interacting with Mankind even as far forwards as Alien Resurrection. But it was teased indeed there are beings above these Engineers we saw in Prometheus both LV-223 Engineers and Sacrificial.. The Elders Scene was cut because Ridley did not want to meet God in the first movie and he referred to those beings in the image above in the previous post as the Apostles and Superior Beings. So their is a Hierachy above those Engineers. The Question is how many layers and where are they now? I think with Alien Covenant they have realized most fans want to get back to what made the Alien Franchise and that was the Xenomorph and Eggs, the Company the Androids and the Humans who have to put up with the suffering caused by the encounters with these Alien Organisms (Xenomorph). Expanding beyond to the Engineers, who created them where are they all at.. may be distracting off the Path that Fox feel is more relevant. So it appears indeed all the Engineers are dead by the time the Covenant Arrives, Dead as far as within the limited parts of the Galaxy Mankind has visited in the Franchise. This tidies up any Plot Holes as far as Alien Time Line goes with no Engineers turning up post 2104 to wreck havoc on Mankind. By having those beings not being Technologically Advanced on Paradise means they have no means to simply destroy Davids ship and then carry on their attack on Earth. I would assume those beings on Paradise are not even aware of who Mankind is or the Engineers on LV-223 was. So it leaves it open to see these beings/Engineers in Flash Backs if future movies cover some Plot from the Past. It also leaves it open to explore those above the Engineers and those beings on Paradise in a future movie, if these Hierarchy of beings or Creators have created Life across vast portions of the Galaxy and even other Galaxies. Maybe they abandoned Paradise thousands of years ago, and those Hierarchy beings are now not anywhere within thousands of light years of Earth and so out of reaches of Mankind though-out the Franchise. We also can not rule out if any Engineers are on the Juggernaught that David and Shaw took off in. Perhaps a form of racism or ageism is going on with the Engineers. The Elders were clearly the same species as the Sacrificial Engineer. Further, we should not forget that the Engineers may well have originated from a different galaxy. Great question Dark Nebula. And yes, bring on the Engineers as far as the story line content. There is a good chance from what we have seen in Prometheus (and Alien: Covenant trailers) that the Engineers were reduced in numbers long ago. It is very hard to know how many Engineers there were before the attack on LV-223, where other attacks of that kind happened, and how many were attacked on Paradise and elsewhere over time. Those on LV-223 appeared to live more like a dedicated military populace opposed to a posh civilization. How many different places (planets) were the Engineers attacked on during the LV-223 attack shown in Prometheus and how long did this attack last?